There are lots of ways people think about luck. Some people don’t believe in luck but believe in karma instead, or both. Some people think of luck as pure coincidence. While others think there is something controlling one’s luck. 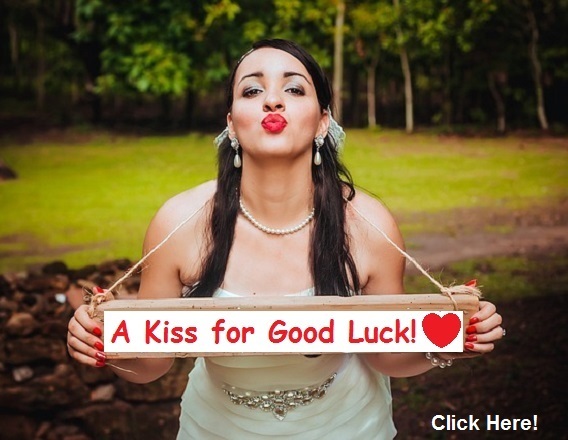 Luck can also be good or bad, or even both depending on the circumstances. Some people look to the stars or astrology via the zodiac to determine their propensity for luck and other characteristics. Here’s what the American Federation of Astrologers say about the zodiac. The zodiac (which is derived from the Greek word meaning “circle of animals”) is believed to have developed in ancient Egypt and later adopted by the Babylonians. Early astrologers knew it took 12 lunar cycles (i.e., months) for the sun to return to its original position. They then identified 12 constellations that they observed were linked to the progression of the seasons and assigned them names of certain animals and persons (in Babylonia, for example, the rainy season was found to occur when the Sun was in a particular constellation which was then named Aquarius, or water bearer). The zodiac has gemstones associated with it. Many people love to wear such gemstones as jewelry. Some believe such gemstones bring them luck. The zodiac gemstones are generally some type of precious crystal. Here’s what Energy Muse says about crystals for good luck. Gemstones carry living energy, and each one has many different metaphysical and healing properties. Luck is generally part of the energy of many stones, making crystals the ideal good luck charm. There are many different lucky crystals, some being more popular and well known then others. Crystals and gemstones are so elegant and attractive that even the Hollywood stars are seen wearing them. 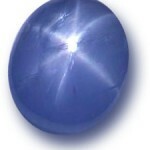 Some people believe that they are wearing them as their birthstones. Others believe they bring them good luck. Whatever the reason may be, it is true that gemstones enthusiasts are among the Hollywood stars as well as so many of us ordinary people. Take a look at what birthstones some of the popular stars wear who are already leading a wonderful life. Do you believe these precious gemstones can affect the person wearing them? 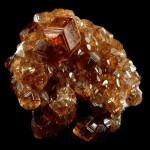 In Indian mythology garnet is called the “Kundalini fire” (fire of eternal metamorphosis). In Hinduism and Buddhism it is considered a holy stone. It is said to give wisdom and enlighten the soul. Magical properties: Mystics believe Garnet brightens dark souls and brings hope to people. Garnet helps in increasing the chances for a successful life. 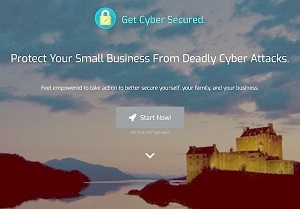 It develops a wish to help the people those who are in need of help. Oprah and Patrick must use this stone (if they have not already). The name Amethyst is derived from the Greek word amethyein, meaning “not drunk.” They wore amethyst for protection against homesickness, drunkenness, evil thoughts and magic. Buddhist monks in India use amethyst to help them meditate. Magical properties: Amethyst is said to attract justice and protect against burglars and thieves. Amethyst also wards off danger and violent death. Jennifer and Rihanna have had quite bad personal life and unstable relationships. If they would have used their birthstone, which is amethyst, maybe they could have brought some changes in their life. 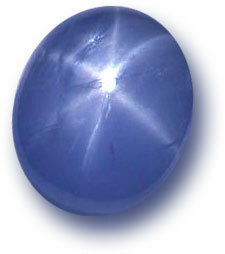 This gemstone is believed to have calming energy that can control the emotions and provide mental clarity. Aquamarine is said to bring pure love. Because this stone turns lighter and darker Aquamarine indicates what is true or false. When Aquamarine becomes almost white it is said to warn against false friends. Magical properties: Aquamarine symbolizes peace. It encourages a gentle nature and personality in the wearer. 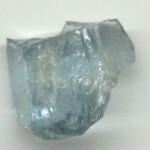 Aquamarine is believed to cure anxiety and fear and helps a person to proceed with normal life. The use of this stone could have helped Sarah to balance her work and life smoothly. The calmness of this stone can benefit Reese in having proper communication and help her experience new life. During history diamonds, especially the celebrated, usually huge brilliant cut stones are surrounded by stories of fame, misfortune and murder. At one time diamonds were known only to kings, and even then only to a few. Long ago in India the diamond, the “invincible stone,” was considered the stone of virtue and justice. The ruler administered justice while holding a diamond. The diamond is the hardest of all stones, and because of this it has become an indispensable tool for many companies involved in industrial production. Mining diamonds for this purpose has therefore become significant in economic and political importance. Magical properties: The diamond provides protection. It gives power and helps preserve peace. Diamonds symbolize wisdom and enlightenment, purity and clarity. Diamonds, as well as many other gemstones have healing power. When cut as a brilliant stone, it has even greater healing power. Diamond, the purest of all the gemstones can help in clearing the mind and get rid of negative thoughts. This precious and valuable gemstone is the birthstone of the new young stars like America Ferrera who played the lead role in the popular television series, Ugly Betty and Leighton, an American actress and singer who started her acting career in 1999. This precious green stone has the power to heal the mind and the body. In history and legends emeralds were the protection stones of travelers. 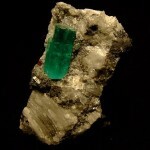 Emeralds from around the Red Sea area were the foundation of the wealth of the Pharaohs. Cleopatra tried to achieve eternal youth and beauty through the reflection of the most precious emeralds on her skin. The Incas had lots of emeralds, many of which later became famous, were stolen by the conquistadors and taken back to Europe. Throughout history the emerald has been valued by all cultures and rulers during every period in history. Magical properties: The green emerald stands for maturity and was a stone of divine intuition for the Greeks. Green emeralds symbolize hope and development. Emerald can help the busy stars like Megan and Robert in concentrating on their work and keep away all the mental and physical stress that can pull them down. Pearls are really something different from most precious stones. They actually belong to the marine animal kingdom, but most people consider them to be precious stones. 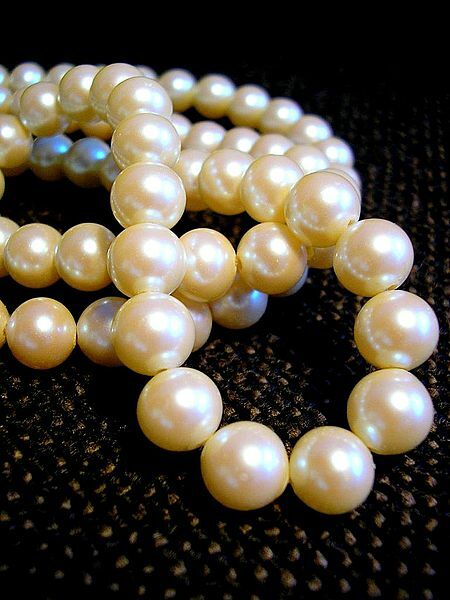 As most of us know, pearls are produced by oysters. Pearls have always been the symbol of a woman’s perfect beauty. 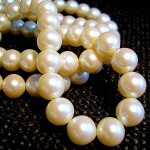 Pearls have been admired since antiquity and royalty of all types have adorned themselves or with pearls. Precious pearl jewelry, which was loved by kings, emperors, tsars, maharajahs and princes can be seen and admired even now in museums throughout the world. Magical properties: A pearl necklace is believed to warn sensitive people of imminent disaster. Pearls are associated with courage and emotional imbalances. This stone helps in calming the mind which is required for a star like Olsen Twins who have got busy schedules to get through them peacefully. Angeline Jolie can benefit in getting rid of the stress and tension caused by the publicity about the relationship between her and co star Brad Pitt. 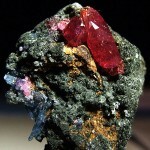 In the Middle Ages ruby was used as a protection against the plague. If the color of the ruby became darker, the wearer fled to another place in order to protect himself against infection. They would only return home when the stone became lighter again. Magical properties: Ruby is associated with vitality and strong feelings. Red Ruby symbolizes love and passion. The Harry Potter starrer, Daniel Radcliffe and the actress Lindsay are equally talented. 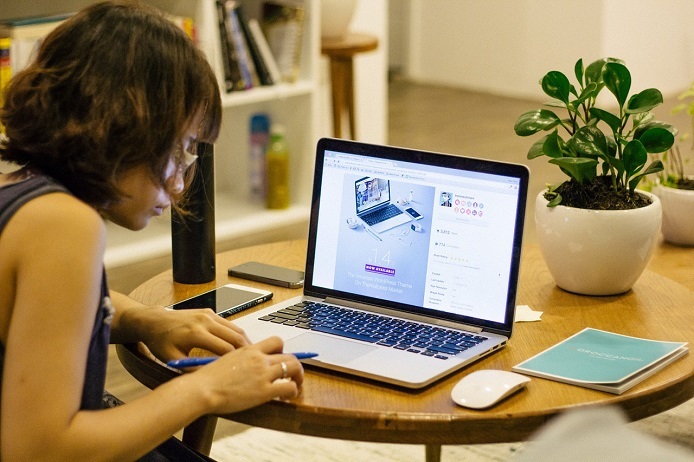 Ruby can help them in having successful careers in the coming years. 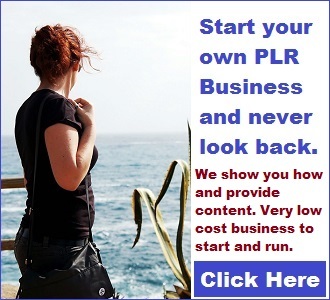 Ruby is exactly what they need to achieve their goal without any disruption. This red colored stone will help them to gain confidence and get out of negative thoughts. 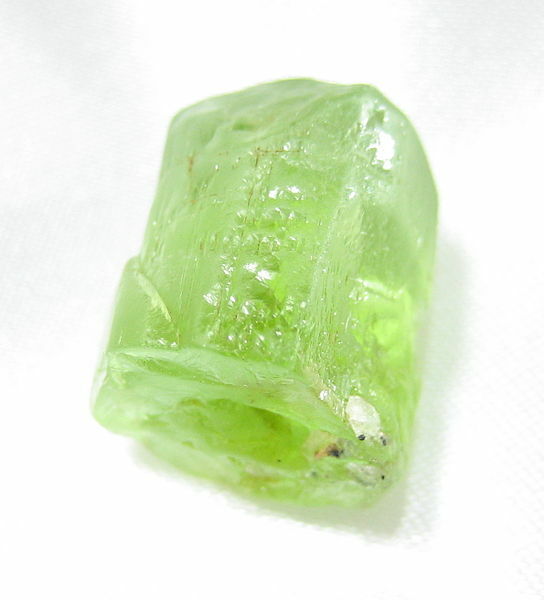 Peridot is one of the few gemstones that occur in only one color, an olive green. Peridot has been used for over 4000 years. 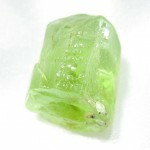 It was said the Egyptian queen Cleopatra considered peridot one of her favorite stones. During that and other times it was regarded as a powerful protective stone against evil spirits. It was particularly effective for that use when set in gold. As far back as 3000 years ago the Egyptians mined Peridot on an island in the Red Sea called Zebirget. The island remained as an important source of the gem all the way up to the 1920s. Now about 80% of all the Peridot mined comes from Arizona. Magical properties: Wear a peridot pendant over the heart, especially to attract love into your life. Hayden and Madonna will benefit a lot from peridot. It helps in providing muscle relaxation and also takes care of fear, anxiety, and nervousness while performing on the stage. 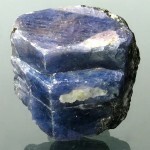 Sapphire is also mentioned the Bible’s book of Revelation where it is named as one of the foundation stones of New Jerusalem. 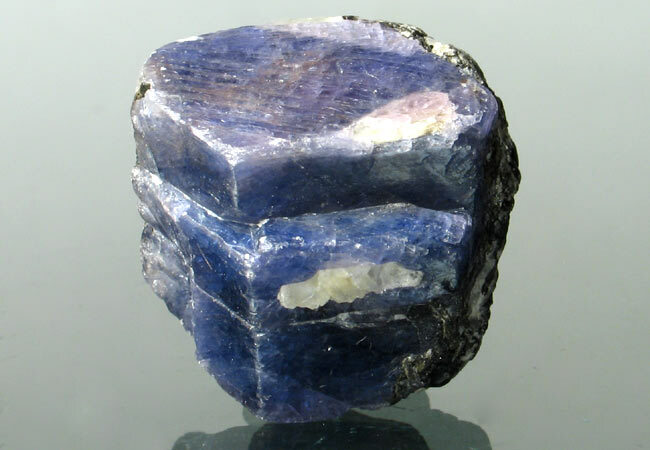 Stars and artists are mostly emotional and sapphire can help the people born in the month of September to balance their emotions and cure mood swings. 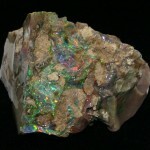 Opals have been prized gems for centuries because of their magical display of multiple layers of light in various colors. There are many kinds of opals, from the familiar pale blue, green, and turquoise shades. But there are several other shades like cherry opal in shades of red, pink, or orange. Then there is the fire opal which has red-orange sparkles in it. However, perhaps the best known opal is the white opal. It is milky white with gentle rainbow iridescence. In mythology the gods saw opals as the embodiment of the beauty of all precious stones. Opals were said to contain the tears of Zeus after his victory over the Titans. Be careful with opal because it has water content in it. 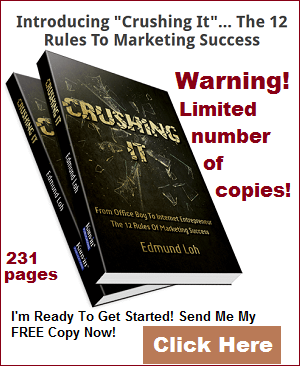 If it dries out too much it can crack or shatter, so it needs to be stored carefully to avoid such a fate. Magical properties: In India opal is considered a lucky stone. In the Far East opal is a symbol of eternal hope, however at times its iridescence is also seen as a presage of bad luck and witchcraft. If you personally wear opal you should be aware that it is sometimes considered unlucky unless you are born in Libra, in which it is considered a birthstone. This is just a superstition. If you are drawn to an opal, then by all means wear it – unless you are superstitious, in which case, give some thought and consideration before wearing opal gemstones. Opal can benefit Zac and Simon in making perfect decisions. 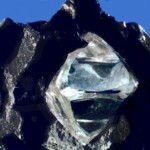 In antiquity Topaz was linked to Jupiter and was therefore considered a symbol of power of a ruler where it also bestowed wisdom. 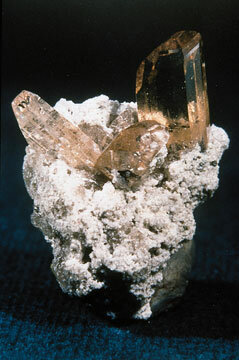 Topaz’s name is derived either from the Indian Sanskrit word tapas (“fire”) or from the Arabic word topazos (“found”). Topaz bestowed power and strength to the wearer. 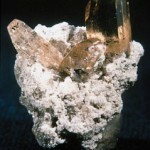 According to the Bible, topaz is one of the protective stones of the New Jerusalem. In ancient Mexico topaz was used in conflicts to determine the truth, in such cases the stone would become slightly darker. Magical properties: Topaz opens us up to higher wisdom and guidance. It symbolizes the joy of life. Its wearer will take delight in the world and themselves and embark on the path of self-realization. You can hold golden topaz stone as a focus for meditation. Both Miley and Scarlett have busy schedules giving no time to relax their mind and body. Yellow Topaz is their birthstone and they can benefit by using it; it helps in refreshing their mind and body. 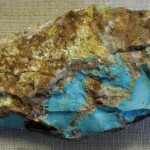 Turquoise long been mined since antiquity, since at least 6000 BCE. The oldest known mines are in the Middle East. It has been used in jewelry and other more practical uses since then in many countries, including Persia (now Iran), in India in the famous Taj Majal, in Central America with the Aztecs who used it combined with gold, jade and other minerals. It was used by Native American Indians, in ancient since some 3000 years ago, and in ancient Egypt in necklaces, beads and the carving of scarabs (the sacred beetles). Turquoise has long been considered a holy stone by American Indians. 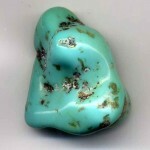 They also believed that turquoise was a magic stone that provided protection against harm. Turkey was where the stone was discovered during the time of the Crusaders who discovered it and the country after which it was named. 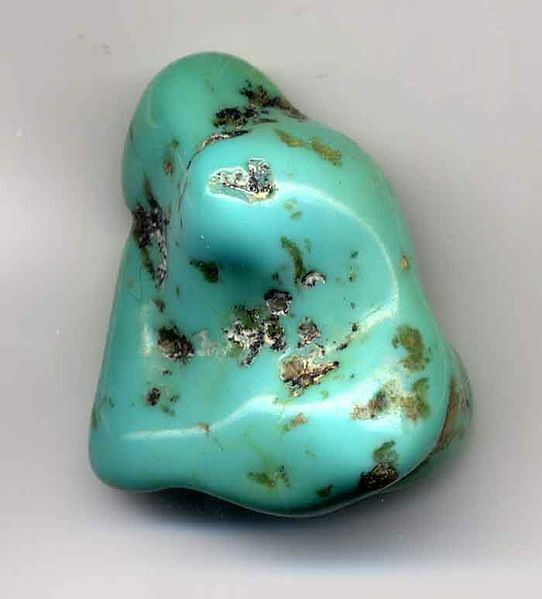 Turquoise was also considered a protective stone in antiquity. It was used to protect both horse and rider on long journeys. In the Middle Ages it was thought to give women a sense of happiness and contentment and guarantee success and power to men. 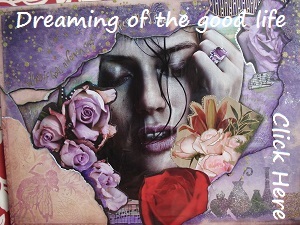 Magical properties: In the Middle Ages it was said to make women virtuous and loyal. Turquoise symbolizes beauty. Turquoise has been linked to powerful protection for millennia. It eases feelings of negativity and low self-esteem. Brad and Taylor can carry on smoothly with their great successful career by using this gemstone as it can calm their mind. 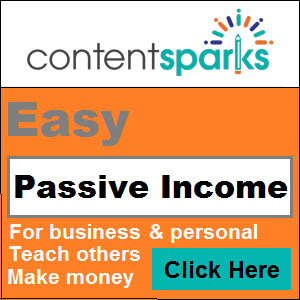 Could this be you earning part-time income by blogging from your home? 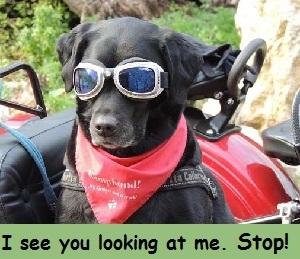 Click image to find out. 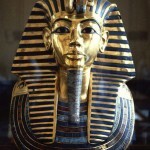 The iconic gold burial mask of Tutankhamun, inlaid with turquoise, lapis lazuli, carnelian and colored glass. These are only a few of the Hollywood stars who wear crystals and gemstones. Gemstones and crystals are for anyone to wear and receive benefit from. There are many uses for such stones and worn as jewelry is only the common use that one sees every day. 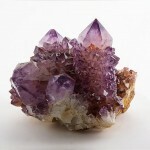 Much older and less common uses, at least in the West, is the use of crystals and gemstones as aids for healing and for emotional and physical uses. However, in other parts of the world, these lesser known uses for crystals and gemstones are still practiced and/or believed today. Please comment below if you use crystals or gemstones for any of these “unusual” uses other than jewelry. I Bought My New Home, Fingers Crossed, having No Job! Mascot – what is it and how is it related to luck?